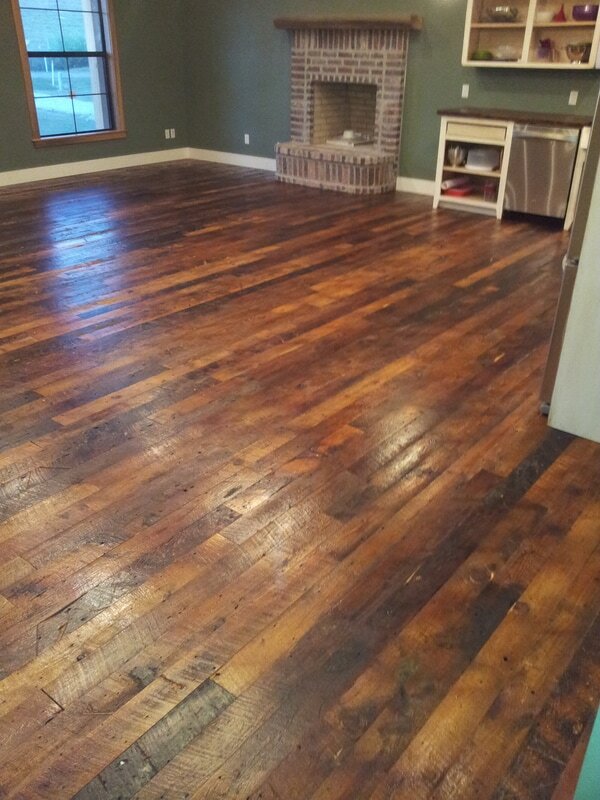 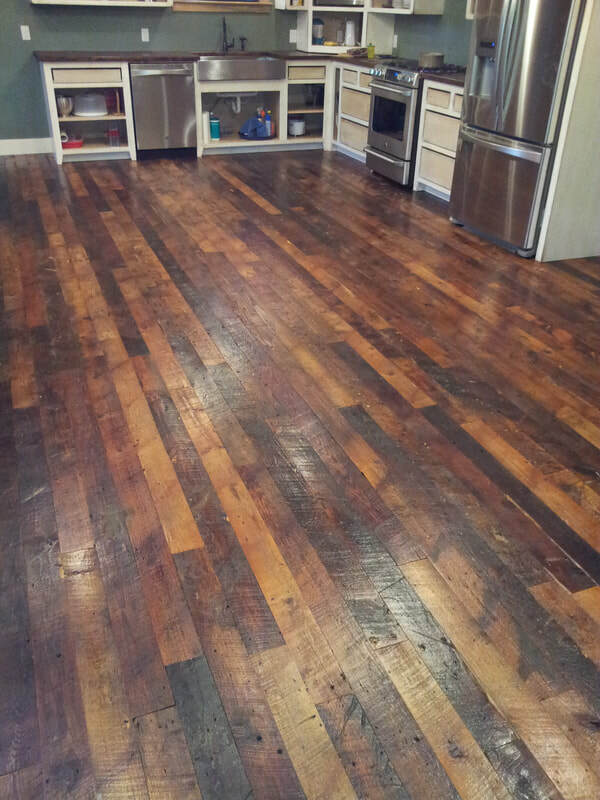 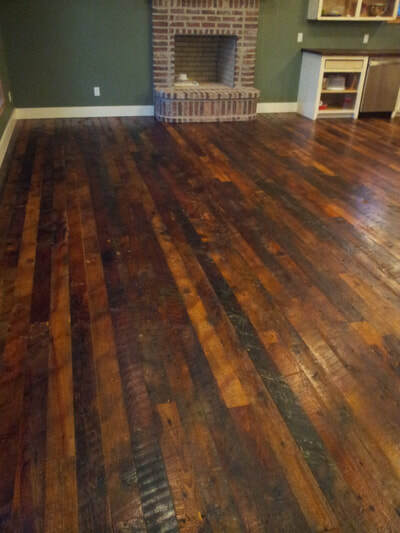 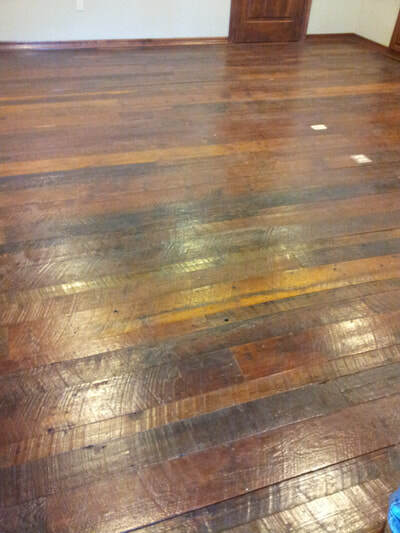 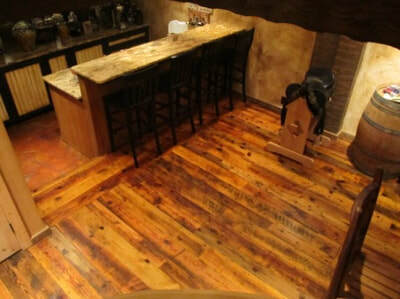 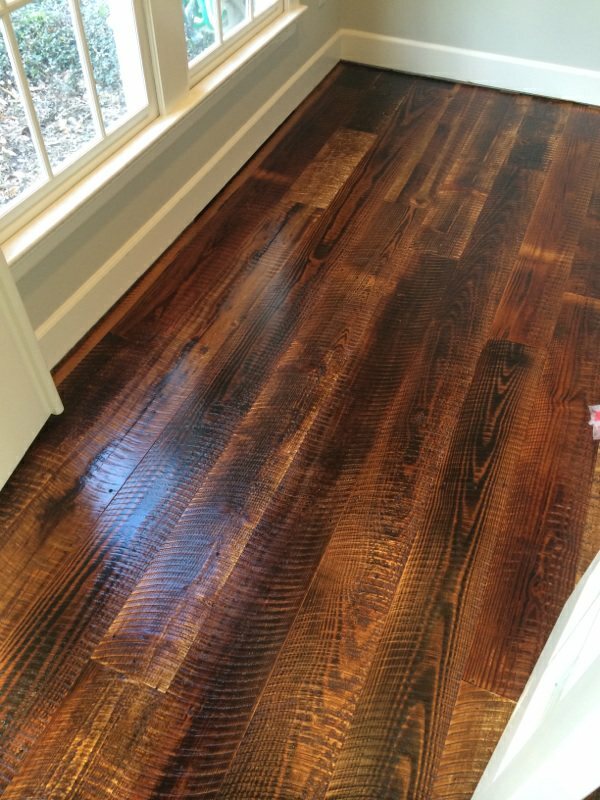 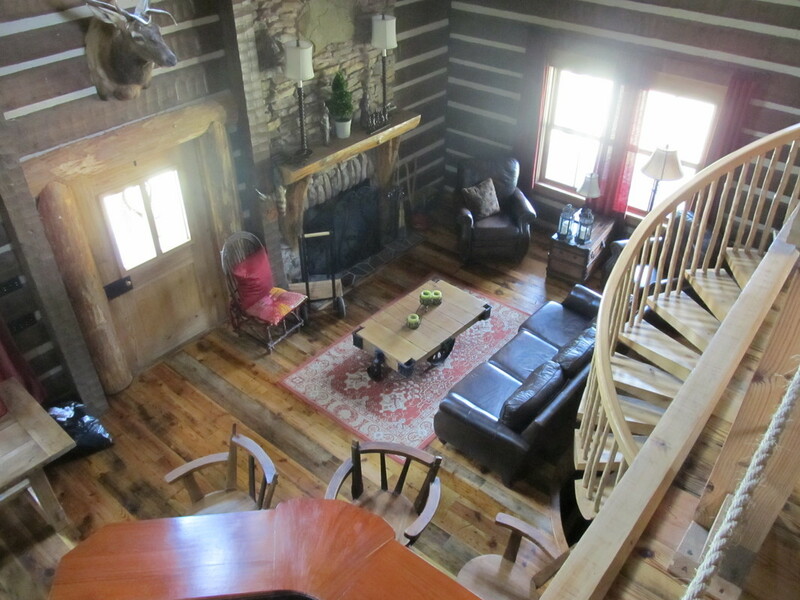 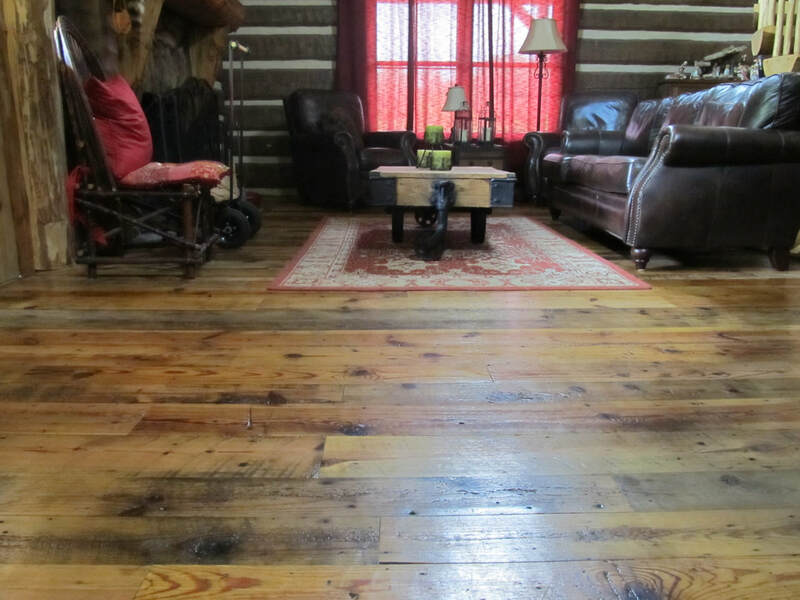 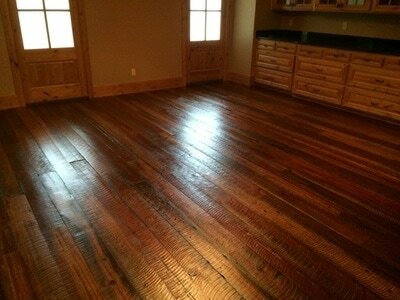 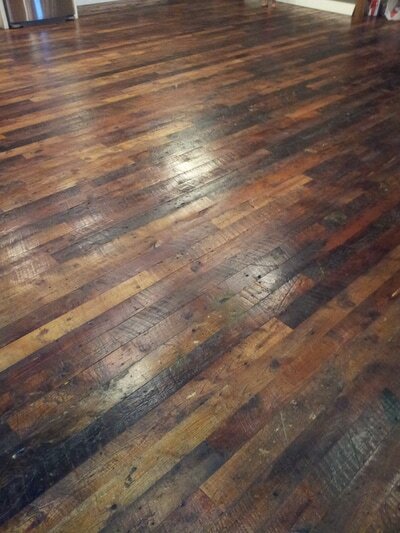 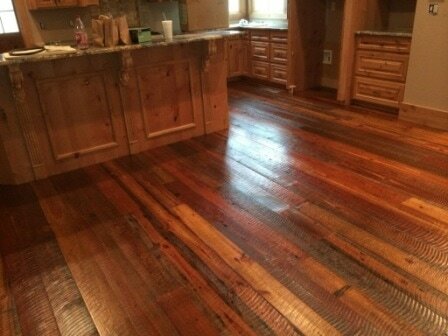 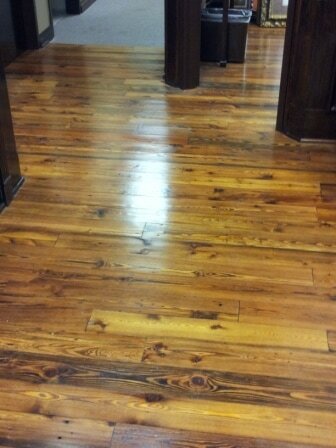 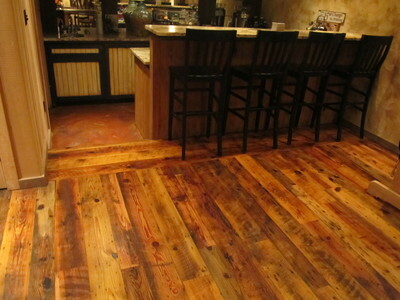 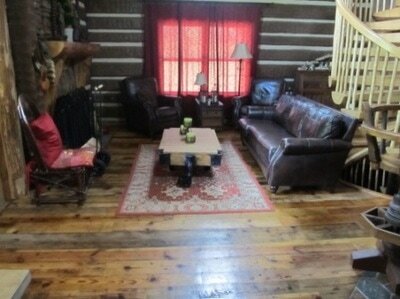 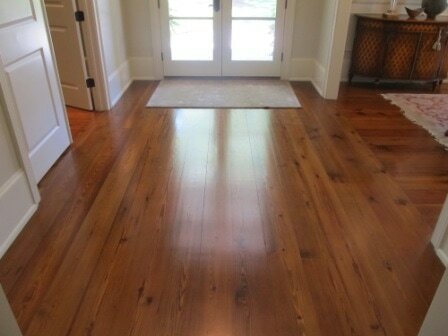 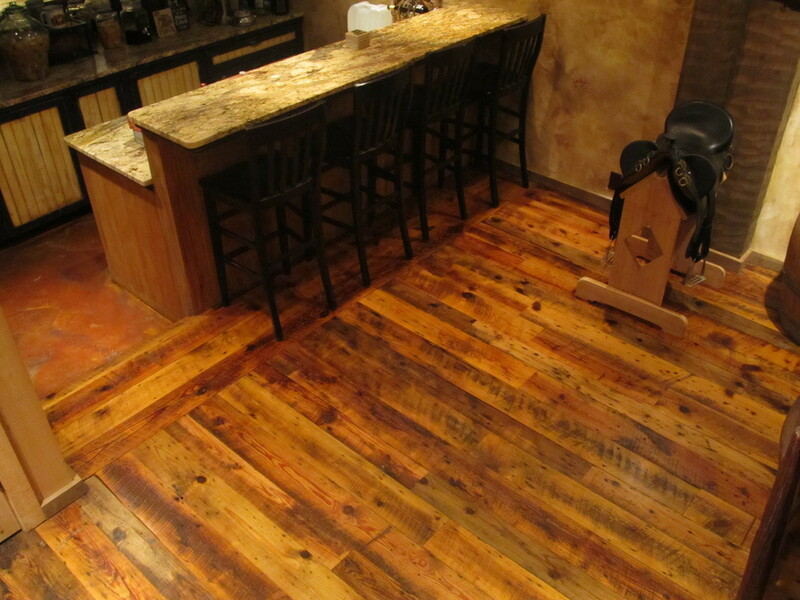 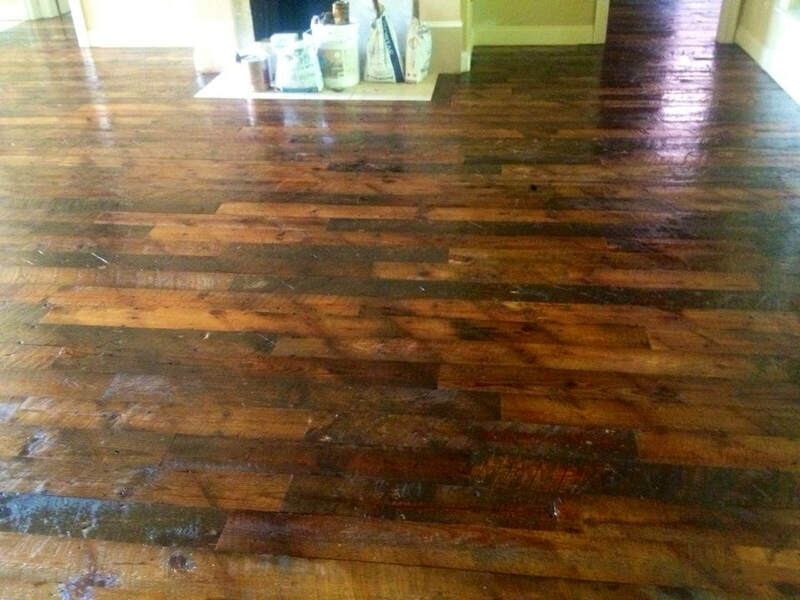 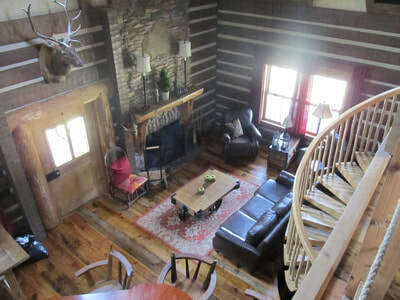 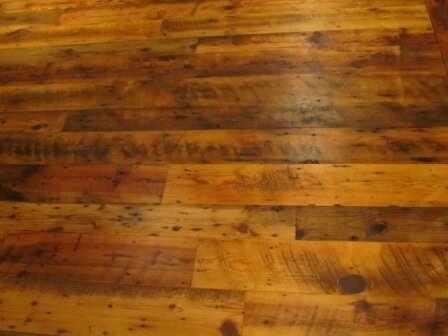 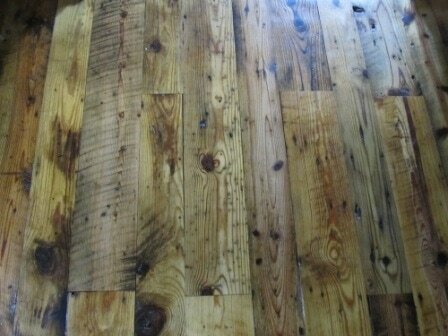 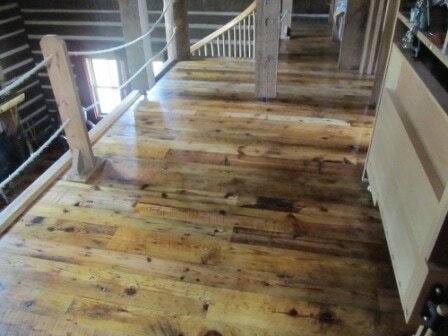 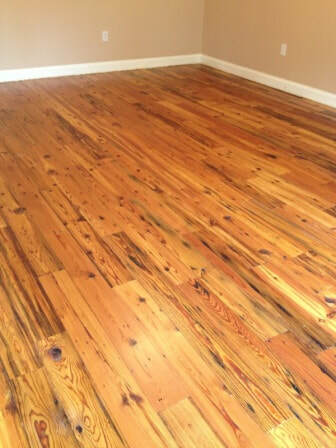 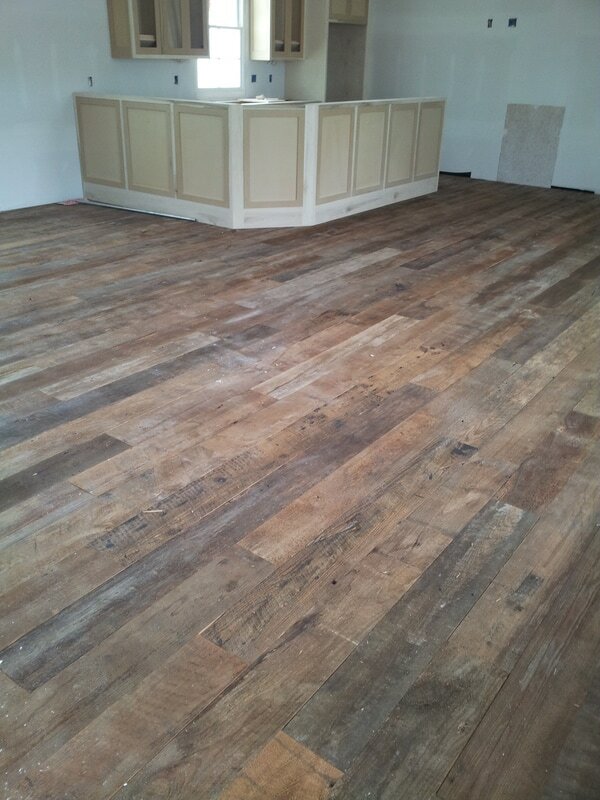 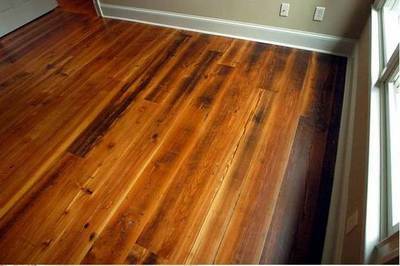 American Reclaimed Antique Longleaf Heart Pine Flooring has a long history. After having stood for over three hundred years, beautiful Longleaf Heart Pine trees were harvested in the 1800’s and used for factories, mills, shops, barns, and houses. 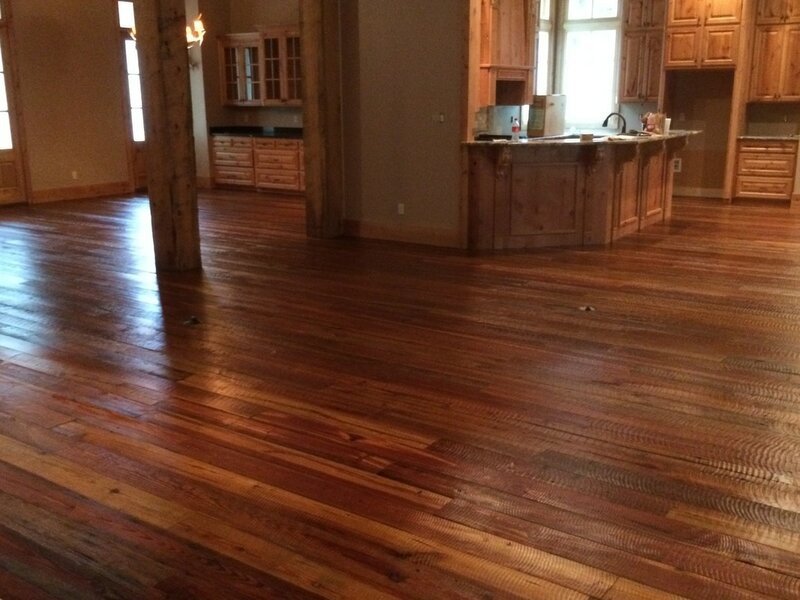 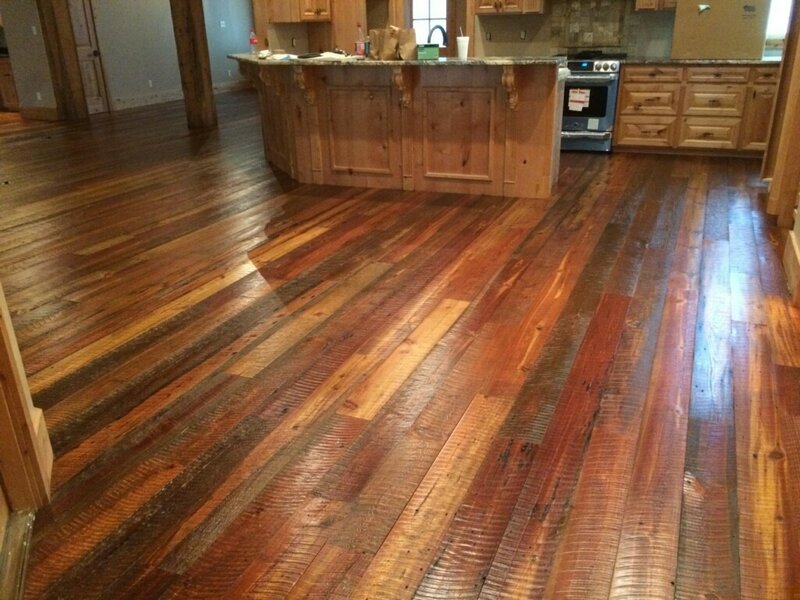 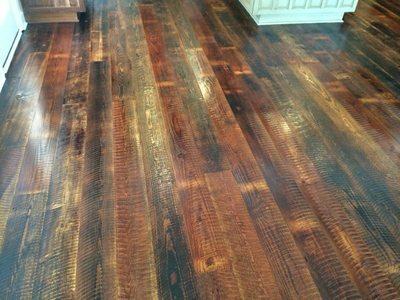 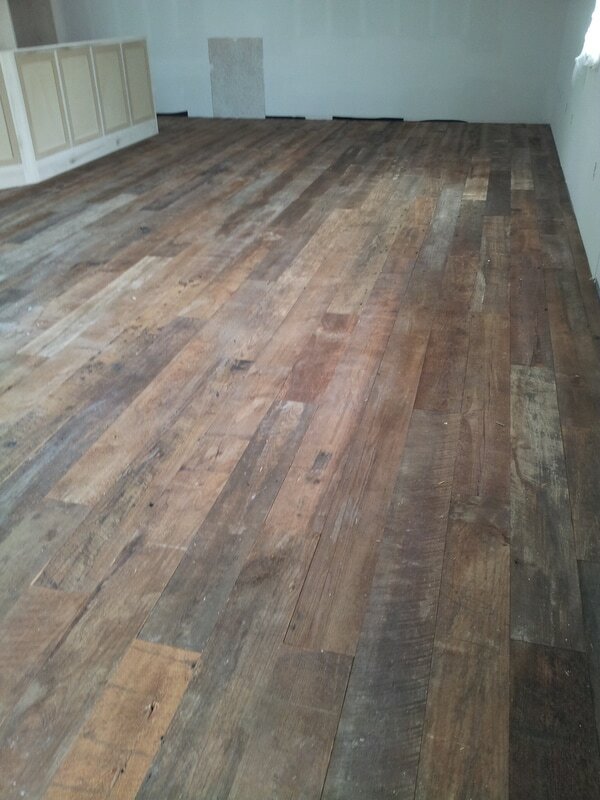 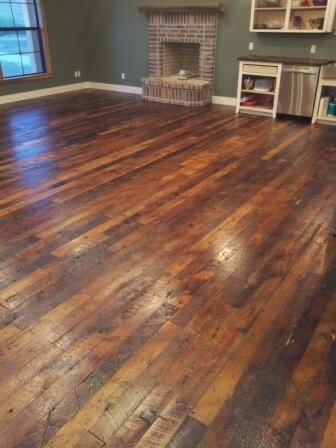 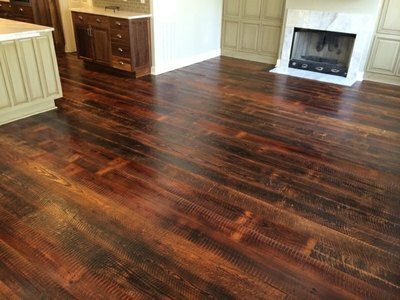 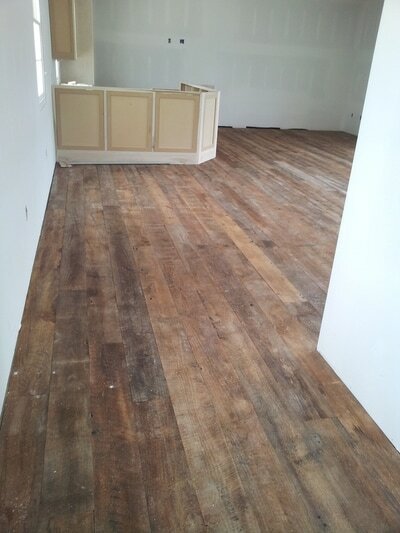 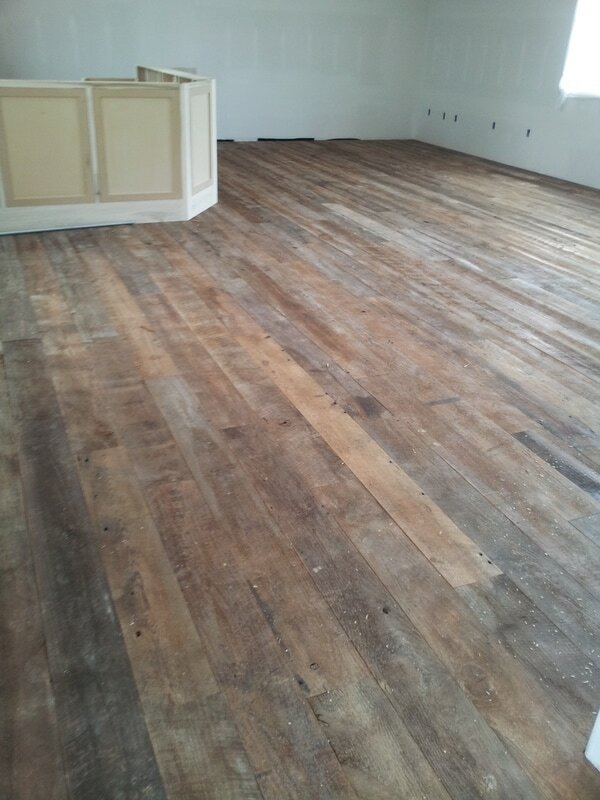 Now, over 150 years later, this seasoned wood has been reclaimed and is ready to go into your home. Both our Reclaimed White Oak and Heart Pine Are Milled like the old days when the cotton mill was established in 1866. 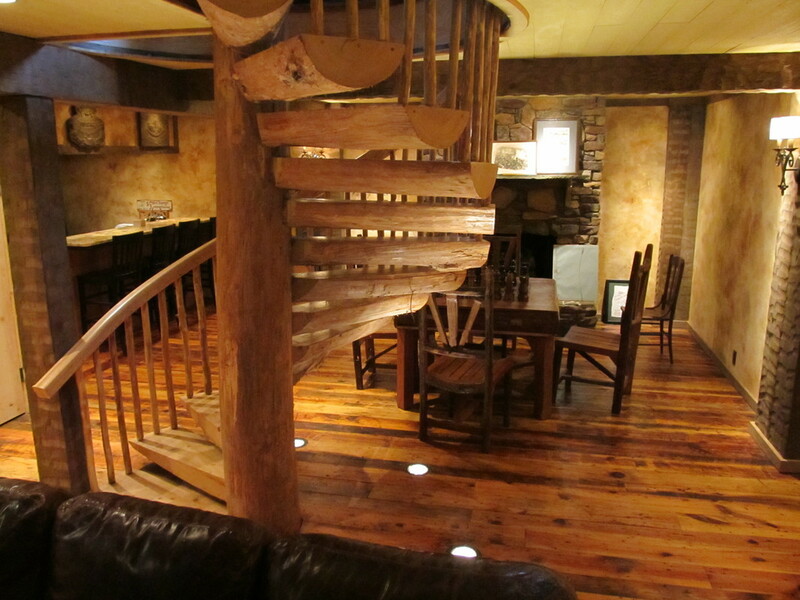 Our beautiful circle saw cut as milled in the past and placed in the cotton mill when the tree was possibly at a ripe old age of 400 years old to even up to 500 plus years possible. 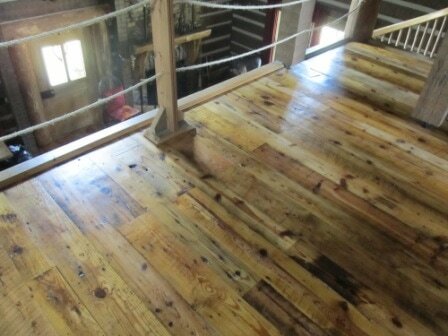 These giants were harvested and turned into mighty fortresses for the production of America's cotton. They have out lived that day in history and are now ready for a new home both woods are hard as nails uniquely different as well as beautiful, both ready to withstand many more seasons of life, ready for a new home! 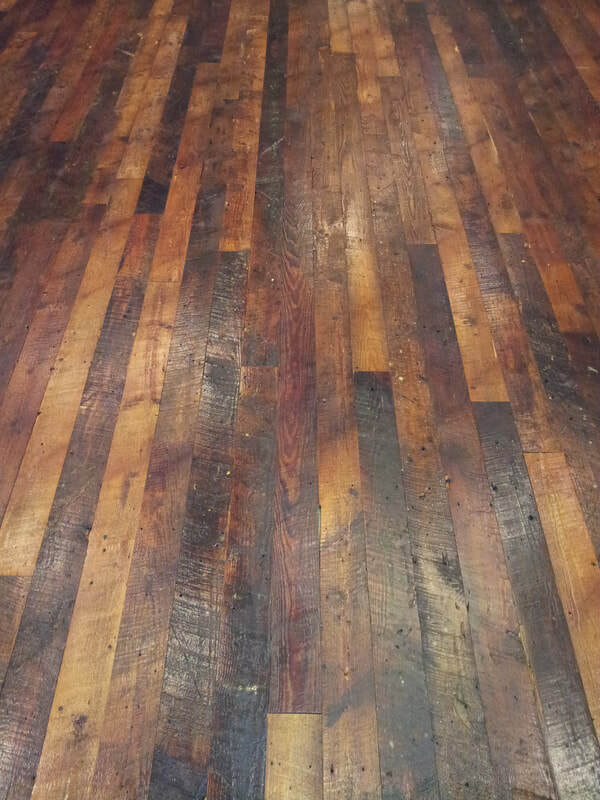 Circle Saw Face creates a rustic look, for a softer look with still the circle saw marks we set our circle saw to remove 50% of the saw marks which we call our hit and miss face this creates a unique look that can also be achieved by hours of hand sanding now we can do all that work for you! 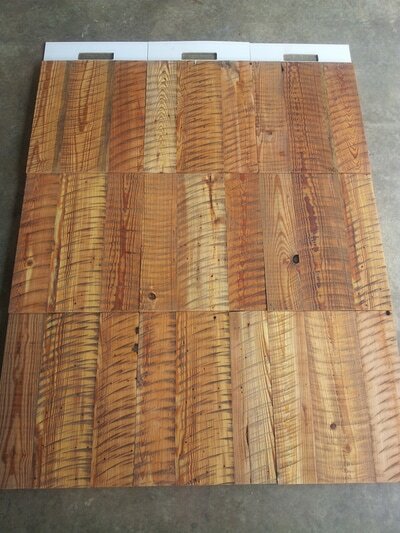 Or choose a freshly milled clean face letting all the character of the grain show through. The reclaimed wood has been fastened in place in the textile mill since 1866 over 150 years having air dried and seasoned to a stable condition. When the building is deconstructed the posts, beams, joists, purl-ins and rafters usually maintain their straightness. 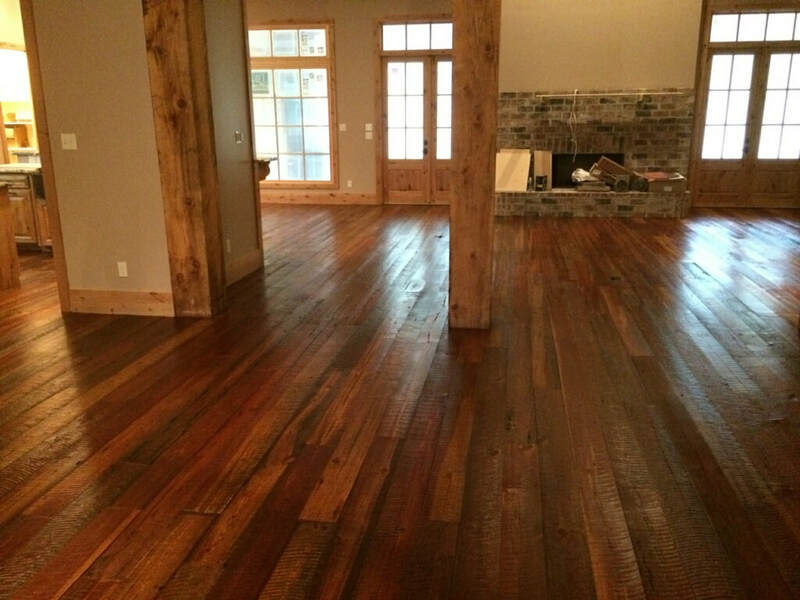 If we do get a twisted timber we can saw it straight and square. 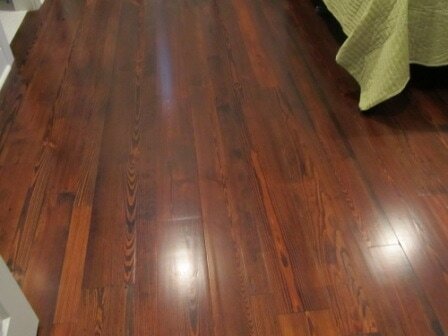 Because the wood is seasoned, 99% of the re-swan pieces stay straight. 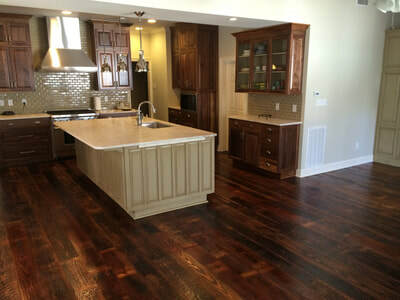 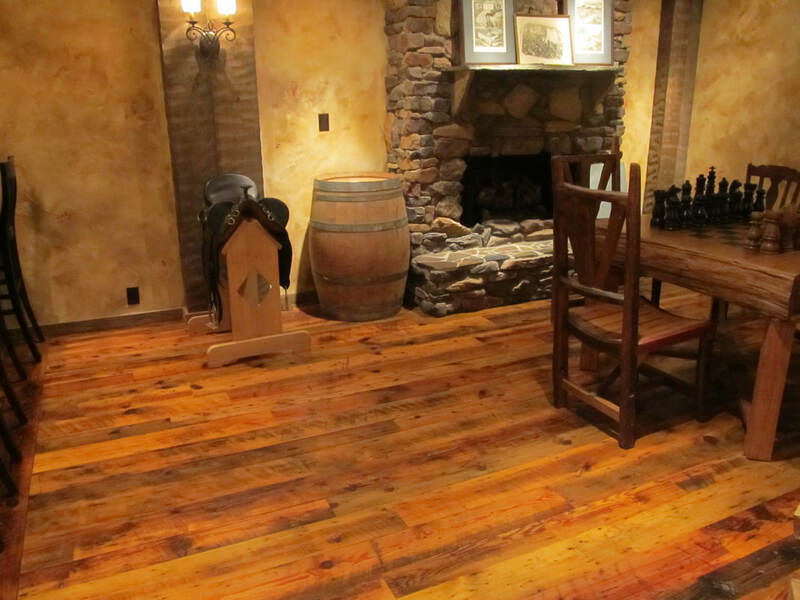 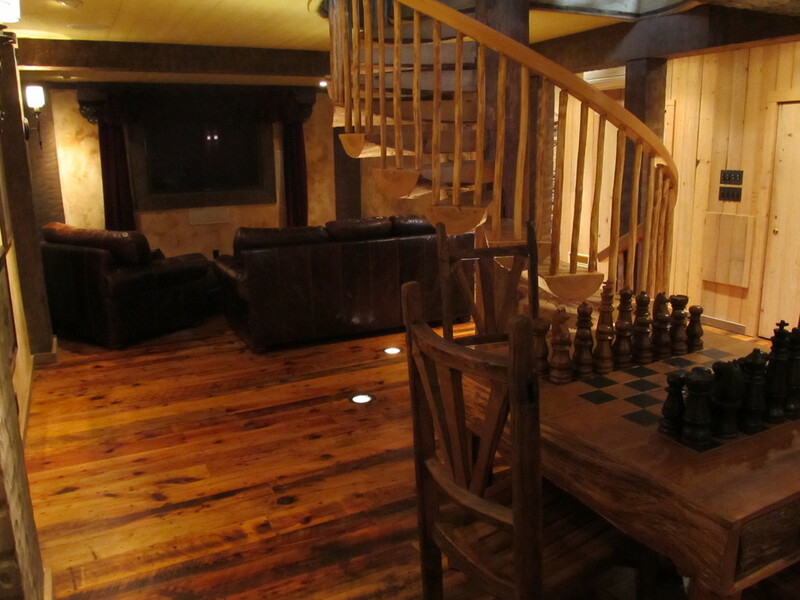 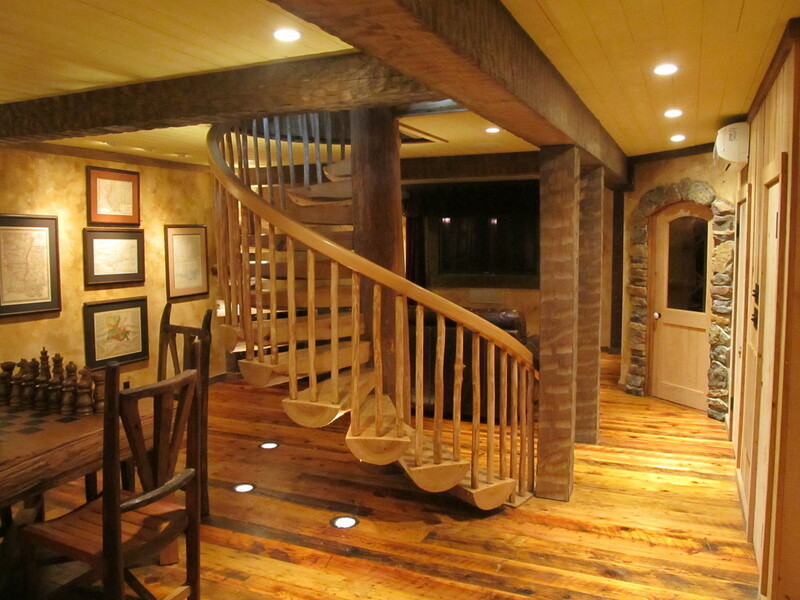 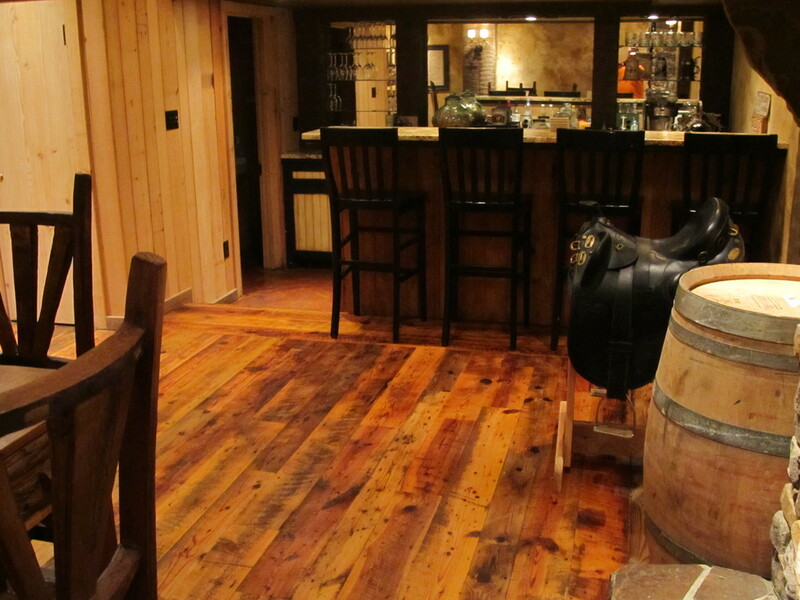 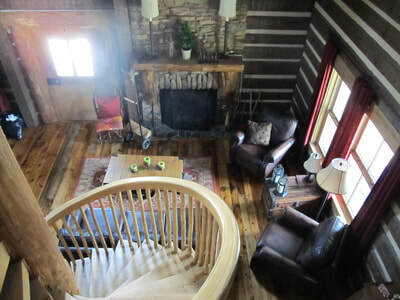 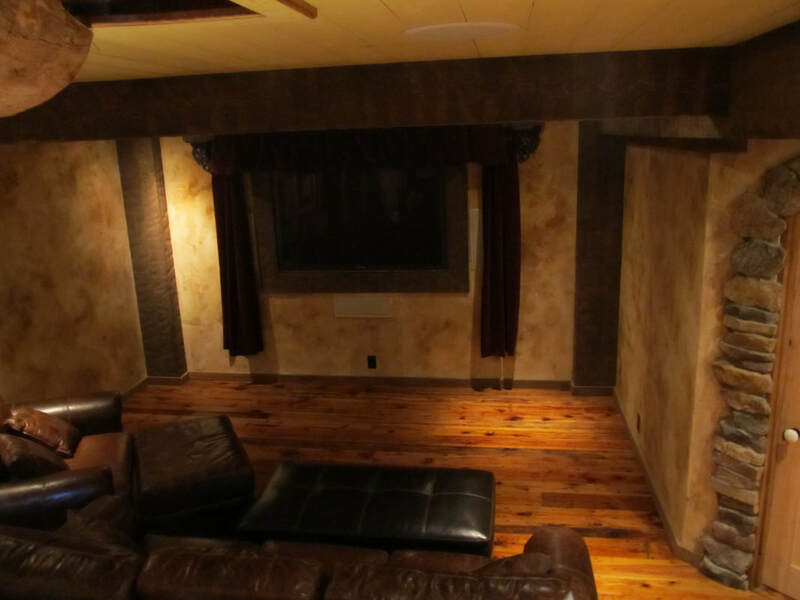 The look of aged and antiqued lumber and timbers has a warm and tasteful quality. From golden brown to light gray patinas, there's something soothing in the old wood. 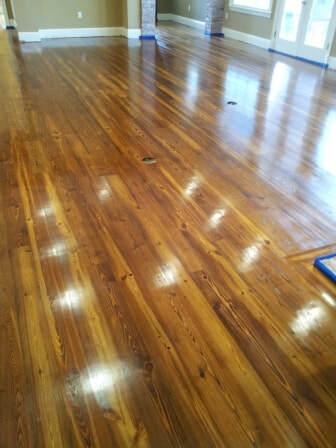 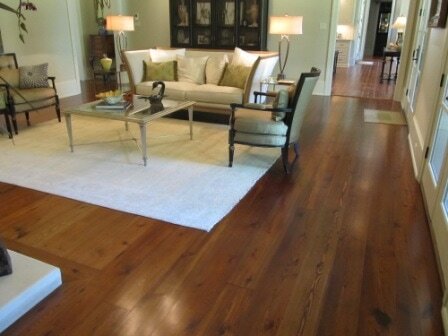 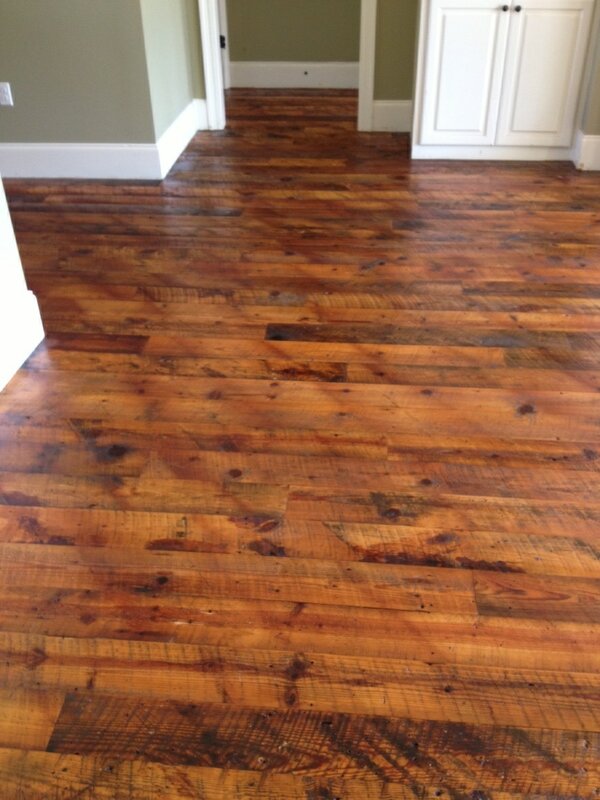 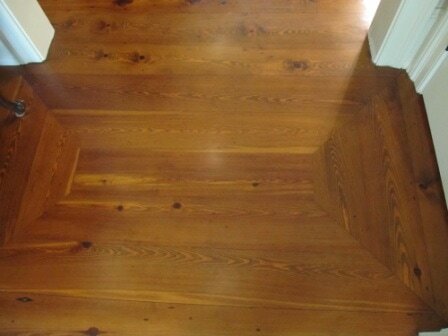 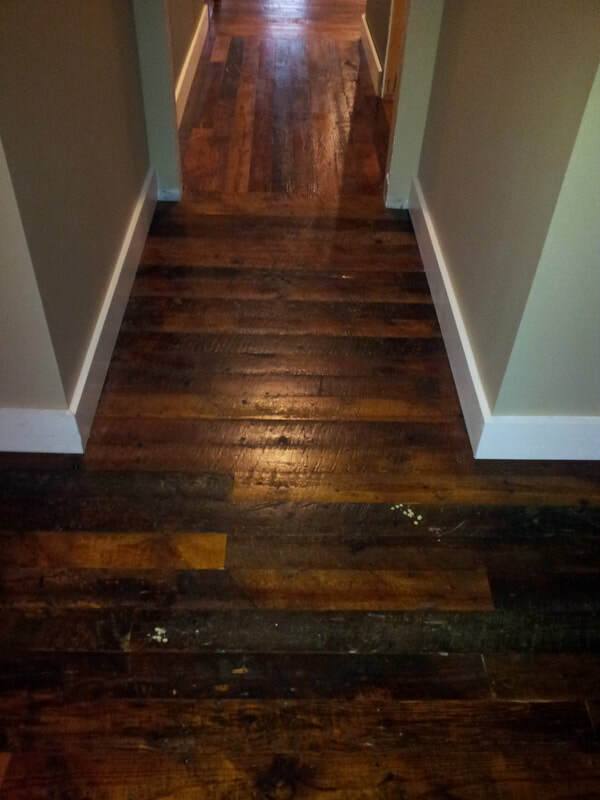 Wood floors are more durable, and eco friendly, affordable and very easy to maintain. 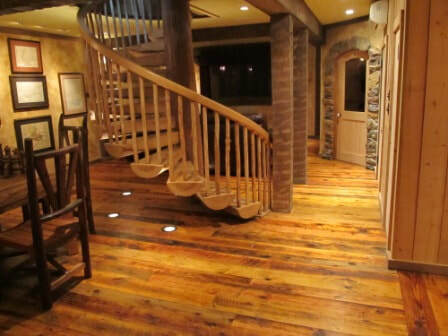 They are pleasing to the eye and the best part is that the floor offers the feel of having a piece of nature at home, adding a rustic charm in your home.